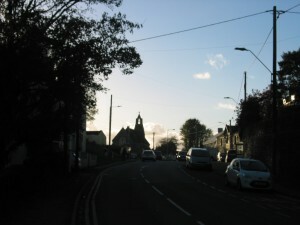 St Michael’s Church, Loughor from road looking west. St Michael’s Church stands overlooking the estuary, near the castle ruins and the road and rail bridges linking Swansea to Llanelli. A traditional building, it is surrounded by a Churchyard. (The full address is Station Road, Loughor, Swansea SA4 6TR). Services in St Michael’s include Sundays at 11.15am (a new time from March 2018), and Thursdays at 10.30 followed by coffee. 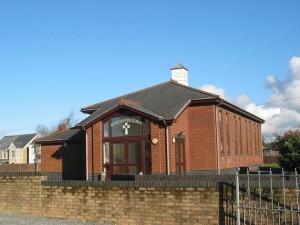 St David’s Church is a modern, brick-built dual purpose Church and Hall. Its grounds, opposite the petrol station on Glebe Road, include a car park. (The full address is St David’s Church, 109 Glebe Rd, Swansea SA4 6SR). Services at St David’s include Sundays at 10am (also a new time from March 2018), and Wednesdays at 10.30am, followed by coffee on both days! You are welcome to join us at either Church, and will be welcome! 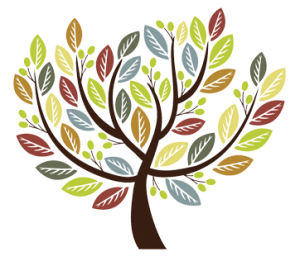 Details of special events and groups are found in the Newsletter, and the calendar on the Ministry Area website. The Parish is part of Llwchwr Ministry Area, (click for its website), the Deanery of Gower, and the Diocese of Swansea and Brecon.